I love this new trade-dress variant to all the books taking part in the Armor Hunters storyline. The logo running three quarters down the page and the bottom quarter given to a stylised take on an interior scene, it is a sharp look ready to take on any of the chromium covers the series offers. Plus this one has a big honkin' robot. Sold. Valiant says: This summer, Earth will be the greatest hunt of all when Valiant First unleashes the first issue of 2014’s must-read crossover event – Armor Hunters – from superstar creators Robert Venditti and Doug Braithwaite! 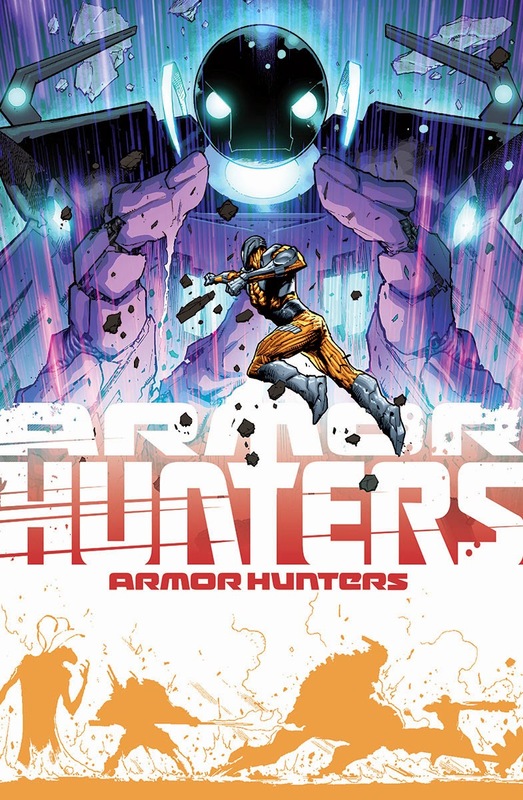 An 18-issue crossover event, the resistance against the world’s first full-scale cosmic threat launches with new arcs beginning in Unity #8 and X-O Manowar #26 in June; and Armor Hunters: Bloodshot #1 (of 3) and Armor Hunters: Harbinger #1 (of 3) beginning in July! What do you think? 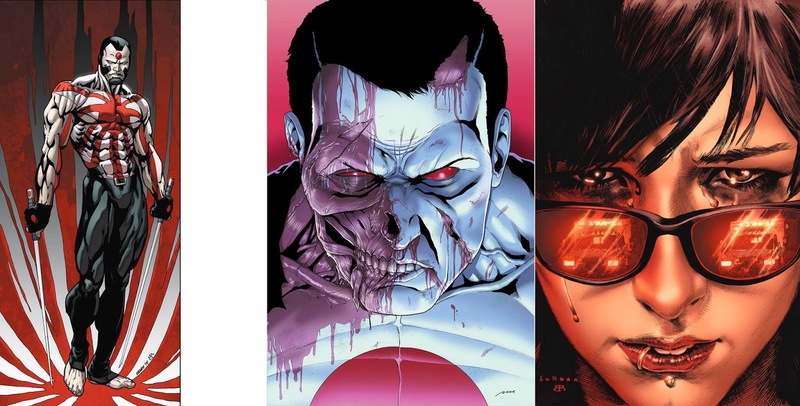 For the full list of Valiant's June 2014 solicitations, click the jump.